Mobile casino gaming is becoming more and more popular and thanks to technological improvements, it is available on almost all smart phone and tablet devices. The number of mobile casinos is growing and so is the number of games they offer on the go. Among the most numerous ones are the mobile slots and they range from classic and video slots to progressive jackpot and 3D slots. Even though they might lack in quality compared to their online casino counterparts, casino operators and software providers are doing their best to make them mobile compatible with all the necessary features so that slot fans can play them wherever they are, regardless of the time. Continue reading to learn more about the most popular mobile slots for real money and fun, about the different types of mobile compatible handsets as well as about the advantages and disadvantages of playing slots on mobile devices. Mobile slot fans can play slots on the go for both fun and real money. The titles they can play, however, depend on the software provider and the mobile compatibility of the game. The most popular software developers that create mobile slots are Microgaming, Betsoft Gaming, Playtech, IGT and NetEnt. Popular mobile slots from Microgaming include Avalon 1 and 2, Thunderstruck and Mermaid Millions. Betsoft creates one of the most stunning 3D mobile slot games like Greedy Goblins, At the Copa, A Night in Paris etc. Popular Playtech mobile slots are the Marvel Series slots like Iron Man, Spiderman, the Incredible Hulk and so on. Other mobile slot games for real money or fun include Da Vinci Diamonds, Grown of Egypt, Cats (IGT), Gonzo’s Quest, Aliens, Jack Hammer (NetEnt) and many more. The most popular slots on the go are the progressive jackpot slots. Imagine the excitement of spinning the reels of a jackpot slot and hitting the Big One while waiting for the bus. All-time mobile progressive jackpot slot is Mega Moolah from Microgaming that has a bonus game where you spin a wheel to win a prize among which is the huge jackpot. Gold Rally and Beach Life are two more progressive slot titles created by Playtech that come with life-changing payouts. Mega Fortune is one of the well-known progressives from NetEnt. Generally speaking, the progressive jackpot mobile slots are either classic or video slots that come with extra features among which is the progressive jackpot that can stand alone, be in-house or wide area progressive. Almost all mobile casinos are compatible with Apple’s iPhone and iPad. The devices work on the iOS mobile operating system that is compatible for mobile slot play. The devices are graphically advanced and offer high end mobile slot gaming experience on the move. The screen resolutions are wider compared to other smart phones or tablets and the multi touch screen feature allows players to interact with the slot. All Slots Mobile Casino is excellent casino on the go compatible with the iPhone and iPad. The casino offers the following Microgaming mobile slots: Fruit Fiesta, Major Millions, Mega Moolah, Tomb Rider, Treasure Nile etc. 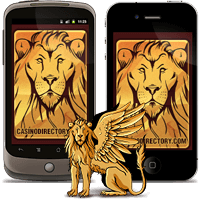 Another safe and reputable mobile casino is EuroGrand Mobile Casino powered by Playtech. Some of the mobile slots available include Gold Rally, A Night Out, Frankie Dettori’s, Chinese Kitchen and so on. Besides iOS compatible mobile slots, there are also slots on the go compatible with Android, Windows Phone and a few with Blackberry OS. These mobile operating systems power many mobile devices and the game play and quality of the slot depend on the mobile device itself. In general, the slots run smoothly on them and have all the features necessary to function. Royal Vegas Mobile Casino is excellent casino on the go compatible with iOS, Android, Windows Phone and Blackberry. Tomb Rider, Break Da Bank and Thunderstruck are some of the mobile slots available for mobile play and to play them, you need to visit the casino on your mobile browser. Drake Mobile Casino is another safe and trustworthy Android mobile casino run by Betsoft that offers thrilling 3D slots on the go like Mr. Vegas, Three Wishes Slotfather etc. The casino also welcomes mobile slot fans from the United States. Playing slots online and on the go is not the same. Read on to find out more about the advantages and disadvantages of playing mobile slots on smart phones and tablets. – You can play mobile slots anywhere, anytime. – You are not limited to one PC. – Playing mobile slots is a great way to spend your free time. – Slot fans can play only a small selection of slots on their mobile devices. – The quality of the mobile slots is not as advanced as that of online slots. – Depending on the mobile device and Internet connection, the games might not run smoothly or load fast. All Slots Casino (Microgaming) – Exclusive $10 No Deposit Bonus! Eurogrand (Playtech) – $1,000 First-Time Sign Up Bonus! Drake Casino (BetSoft) – $5,000 Welcome Bonus. USA Players Welcome!